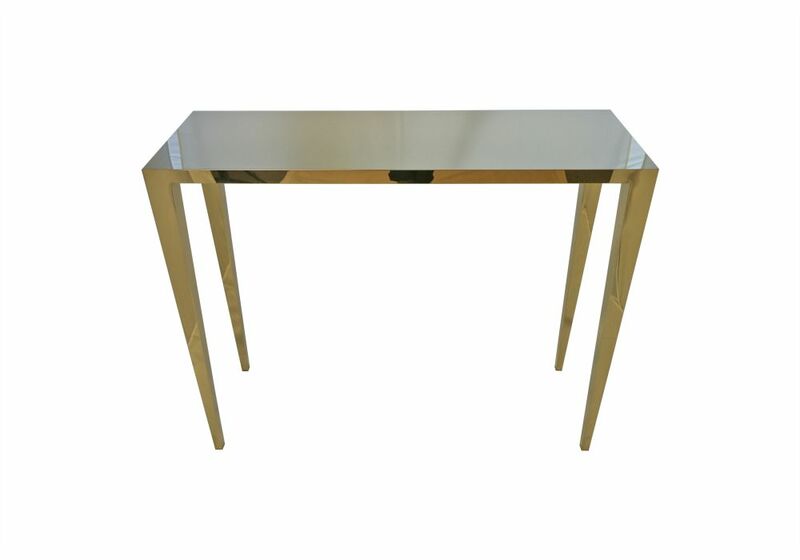 The Gold Console table offers a contemporary twist on the mid-century design. Simple in its structure but accentuated by the rich, metallic gold finish this console’s slim style allows it to slot into many spaces, perfect for hallways and corridors. Elegantly mirroring its surroundings, the console table will exude a touch of luxury wherever it stands.